As we enter the Fourth Quarter of 2012, we find ourselves running hard to the finish line. We have added some great new clients, including ActiveVideo Networks, SportRx, and Maxon Lift, while continuing to work on new projects for our existing clients. Continued demand for outstanding talent still abounds, despite the uncertainty of the upcoming elections and the world economy. It is being proven again that the best way to handle and take advantage of changing circumstances is to have a committed, intelligent, and nimble team in place. Have you ever said to yourself “We don’t need a _____” (Fill in the blank with Head of Marketing, VP Human Resources, General Counsel, or some other senior position)? If so, Joe Kraus, co-founder of Excite.com and partner at Google Ventures, would say that you probably haven’t seen greatness in that role. It may seem odd for an executive search firm to point people to this article, but it offers a great perspective. Liz Wiseman discusses the importance of getting the most out of the talent resources you already have in her latest HBR Blog. We all want team members who are motivated to perform well and who are happy to be part of our organization. According to this UC Berkeley study, giving your employees more money is far less effective than ensuring they feel respected and valued. 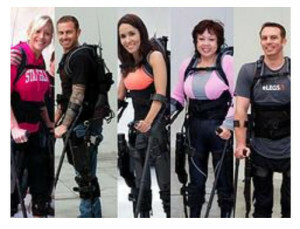 We are honored to be working with companies like Ekso Bionics, which is working so hard to improve the lives of people.